VICTORIA, BC & NEW WESTMINSTER, BC – The BC Craft Brewers Guild has announced the release of the second in a series of collaborative beers that the organization is coordinating and making available throughout the province. 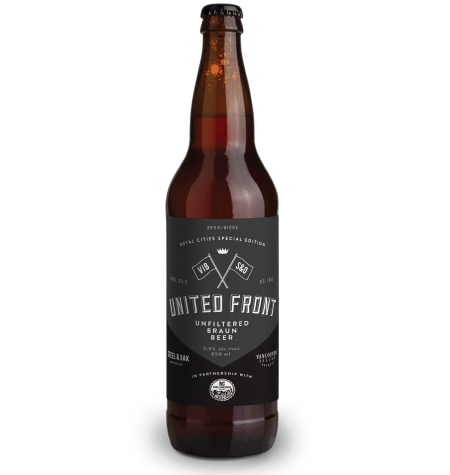 United Front is being launched this week in 650 ml bottles at select private liquor stores, with distribution to BC Liquor locations to follow soon. It will also be available at several events during Vancouver Craft Beer Week.